Location, Location, Location! 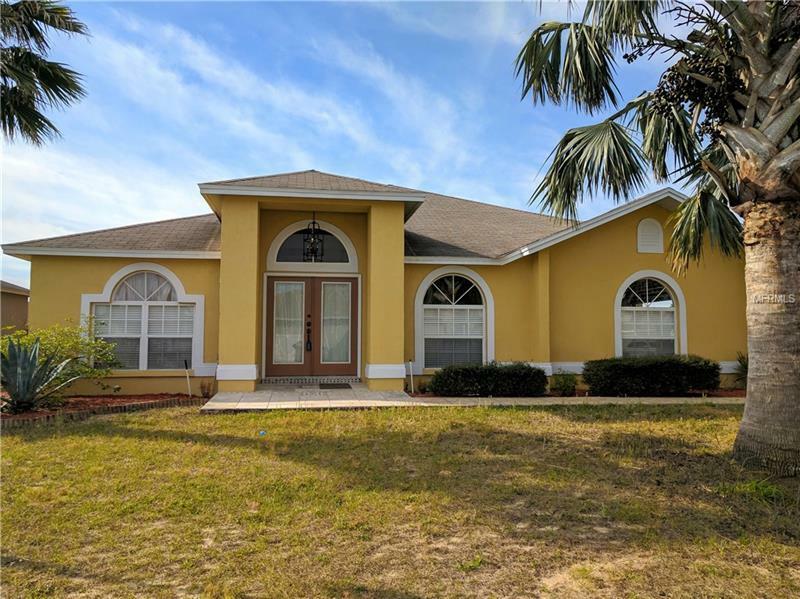 Beautiful 3/2 located near Legoland. This home is looking for a new forever family. Enter through beautiful glass inlaid double doors. The home features cathedral ceilings and has wonderful natural lighting. The floors throughout the main area are beautiful Travertine stone and the entrance features a gorgeous mosaic. Nice large kitchen is open to the family room and is the perfect place for family gatherings and spending time with friends. The master bedroom is huge and has sliding glass doors to the backyard. The spa-like master bath features dual sinks, a huge garden tub, perfect to soak the cares of the day away, and a separate shower. All the bedrooms have bamboo hardwoods. The house is on a large corner lot and with a little TLC can be a backyard oasis. With a little love, this house could make the perfect home!